Location, location, location! Cute and cosy but with all mod cons. Property is beautifully set on the cliff side over looking Little Haven, The Settlings and Broad Haven beaches, with the St Bride's Bay and coastline beyond. We stayed with 2 adults, 2 teenagers and 2 big dogs and found the space plenty enough. Everything needed was available including the washer/dryer and the good quality WiFi which both proved invaluable. The beds were all comfortable, plenty of storage, and two full size shower bathrooms with lovely hot showers and fab water pressure. Kitchen had everything needed, although no Nespresso anymore but caffetier for ground coffee and no tea pot, if you like one. Otherwise plenty of cups, glasses, crocks, utensils, pots, pans and cutlery. We stayed in February and didn't need to use the central heating, instead had loads of fun burning drift wood we had gathered in the stove. Pretty outside space to sit or bbq. Lovely summer house. The steps up to the cottage are steep and can be slippery but a stroll up to The Point and across the neighbour's lawn is a bit longer but much kinder on the legs. Totally worth it for those views though. Little Haven is very friendly with three excellent gastro pubs, pretty beach and fab base for walking or touring the region. We loved our stay at Peak Cottage and didn't want to leave. We will most definitely be back! Central heating was good. Insufficient fuel provided for even one evening's use of Wood burner. Fortunately we had plenty of our own. Tin opener doesn't work. Fortunately we were able to use our Swiss Army Knife. Directions to the property mention the wrong name for a cafe that you need to find - Captain Morgan's Cafe - actually called Cornerhouse Cafe. 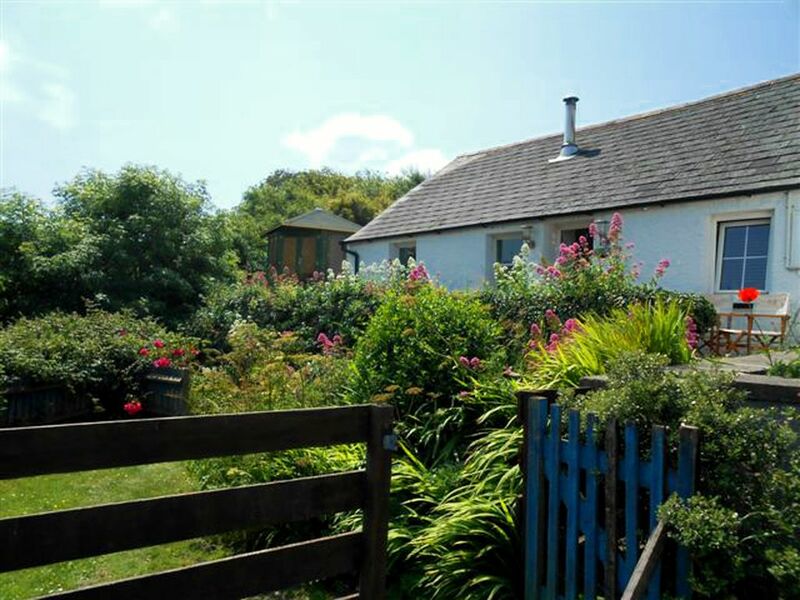 Otherwise the property is comfortable and a good base for coastal walking. We really enjoyed our stay in this lovely cottage , it has everything you could ask for If you want a great location with great views and lovely beach then I would recommend ,we had found the pubs friendly and also the café and near to other places of interest Many Thanks to the owners for making our stay stress free with a well equipped cottage. A lovely cottage in a beautiful location! We had a lovely week staying at Peak Cottage. I can't think of a single negative thing to say about the cottage, it was comfortable and well equipped and the location is amazing! We made use of the summerhouse and it was so nice to be able to sit and enjoy the view of the beach. Little Haven is a very pleasant village, we had a meal at The Castle which was OK and a drink in The Swan, the Landlord of which is a friendly chap. The Pembrokeshire Coast is absolutely stunning. There is a bus service called the Puffin Shuttle which we used a couple of times so that we could walk back along the coast path. This was our first visit to Pembrokeshire and we will be coming back and definitely will stay at Peak Cottage again as I can't see how you could find any better accommodation!